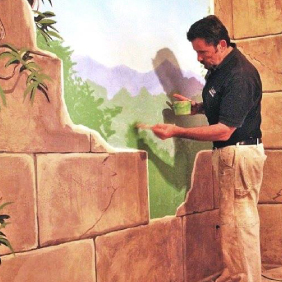 Lazure Custom Wall Designs services include: Lazure painting, Custom murals, faux finishes, complete decorative painting services, commissioned fine art and Lazure workshops. E-mail info@lazure.com to discuss your needs in more detail. Complete DIY Lazure Kits, Lazure Brushes and a Custom Designed Set of 6 Colors for Lazure Painting are available FOR PURCHASE.